In this guide we set out a step-by-step approach to help you develop your own written business plan. 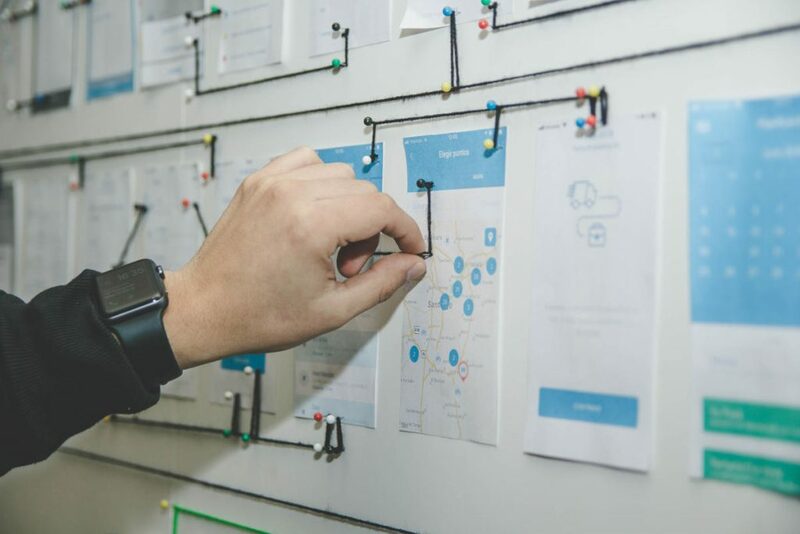 Business planning is hugely important to all businesses - developing a detailed business plan helps you clarify your goals and objectives, test them rigorously and map them out onto a path for future growth. Whether you're a new business or an established one looking to grow, they're an essential for finding new funding or investment. create a roadmap for future growth. The process helps you step back and consider the bigger picture. It often provides fresh insights and opportunities and encourages you to think critically about your plans, identify risks and work around them. A tangible business plan is something you can share with your management and employees, your advisers, lenders and investors. This means everyone understands what you want to achieve and can pull together to help make it happen. To get the most out of this guide you should take the time to document each step as you work through it. This means you're capturing your ideas and insights as you go and, at the end of the process, already have both the structure and content for your written business plan. Most business owners have a clear idea in their mind about what their business concept is. There's huge value in writing this down in a few paragraphs that focus on the most important advantages of your business. Not only does this help you explain the concept to others; it helps focus your mind on what makes your business unique and special. Internal Factors: Focus first on features that you can control as a business owner and manager. What makes your business strong? For example - does your product have unique features that are particularly valued by your target customers? Do you have a clear niche market that you've been able to corner? Equally important - what weaknesses do you have? For example - could your customer retention be better? External Factors: Now think about the broader market. What opportunities do you have? For example - taking advantage of new technology to improve your product / service or develop new ones. And what threats do you face as a business? Examples could include - increasing competition, changing regulations, rising borrowing costs. The next stage is to detail the products and/or services that your business provides its customers. What market segment you are targeting. The key features of your products or services that meet those needs. How this compares to competitors - what makes you special and how do your customers differentiate this. Where is your product positioned in the market - at the premium end (high margin, low volume) or value end (low margin high volume)? What's special about your product / service that supports positioning at the premium end? Or what's special about your operations and cost base that lets you succeed at the value end? For more information see our guide to pricing strategy. What is your brand message, and how do you communicate this to the markets you are targetting? What are the best marketing channels for you to reach your target audience? How do you convey the key benefits of your products or services, and what differentiates them? Which sales technique(s) will be most effective in turning leads into new customers. What do you do to retain existing customers? How do you stay on top of their needs; and encourage "word of mouth" referrals? Are you networking effectively to generate even more referrals? What are the key steps or processes that go into taking a single unit of the products or services you're selling and delivering this to the customer? And what are the key resources and assets that you need? Who are the key personnel in your business? What skills, experience and knowledge do they bring? How do you plan to retain key people? What employee incentives do you provide and are they driving productivity? Do you growth plans mean you'll need to hire more staff, if so - what's your recruitment plan? Are there any skill gaps? Can they be met through training? What's additional specialist skills are needed? Are you using outsourcing and professional advisers effectively to bring these into the business? What plant, equipment and facilities are critical to your operations? Do they meet your current and future needs? If not, what additional assets are needed to meet your business goals? What's the expected life of existing assets, what maintenance and repairs are anticipated? Are your processes as efficient as they can be? Do any of them give you an edge over your competition? Well documented or automated processes, that aren't tied to particular key staff, are particularly valued by external lenders or investors. If you are reliant on key staff can you invest time in documenting and making your key processes more independent? Can you use technology better to improve automation and efficiency? The next step in business planning is to put together a detailed budget and financial forecasts. Your budget translates the business goals into a clear and credible set of financial targets; usually over the next 3 years. It encompasses all parts of your business; you should set financial targets against each of the areas analysed in the previous steps. Where you've identified investments - incorporate the investment cost and the anticipated impact (whether that's reduced costs, improved turnover or both). Sharing or involving your team in the process can improve the quality of your estimated, as well as engage them in what the business is trying to achieve. Closely aligned to the budgetting process, forecasts are essential for testing for yourself that your plans are financially viable, and for convincing potential lenders and investors. Future sales - taking into account current turnover and potential increases / decreases anticipated based on your market research. Future expenditure - identifying all of your fixed costs and modelling variable costs consistently with your estimated future sales volumes. For more details on how to develop these estimates see our guide to cashflow forecasting. Once these estimates are developed they need to be translated into three key forecasts. Cashflow forecast - this estimates the cash that goes in and out of your business and resulting cash balance each month. It's the forecast that's closest to day-to-day business operations. By forecasting cash flow, you'll be able to show your plans will not only cover any investment costs, but also leave you with the cash you need to pay bills, buy stock, and cover any unexpected surprises. For a more information see our guide to cashflow forecasting. Profit and Loss forecast - this estimates your future business profitability. It differs from a cashflow forecast by matching income and expenditure to the period they relate to, rather than when they occur. It's important to differentiate this - a business needs to be both profitable and generate positive cashflows. There could be a sustained period of positive cashflow but the business could still be making a loss. For example, your P&L allows for the depreciation of plant or equipment that's already been paid for but will eventually need replacing. Likewise a business can be making good profits, but burning through cash reserves. For example by investing in equipment, or simply having to pay bigger and bigger supplier invoices before the corresponding customer invoices are settled. Balance Sheet forecast - this projects forward, showing your future financial position. Again it differs from a cashflow forecast because it doesn't just forecast your cash balance - it includes your debtors, creditors, stock levels and long term assets. The three forecasts are normally developed together, since they need to be consistent and based on common assumptions and estimates. This type of "3 way" forecast normally ensures greater accuracy and financial rigour - and is usually demanded in a business plan that's being used in a proposal for new loans or investments. Working through the five steps will help you identify, in a systematic and detailed way, the key opportunities and issues that you need to address to meet your goals. It's not necessarily a linear process - many businesses find they refine and improve step 1 based on insights they gain in later steps; others find in step 5 that some of the ideas in steps 2 - 4 need to be tweaked. The next step is to prioritise the various opportunities and issues you've identified, identify what resources are available for each, and develop a detailed roadmap for improving your business. External Funding: A detailed business plan is an essential part of getting new funding for your business. The format is usually formal, and the exact requirements depend on what type of funding you're looking for. For more information see our detailed guide to business funding. Internal Planning: Even if your audience is just your own management team and staff, a business plan helps communicate business goals clearly and helps everyone work together on a clear roadmap. Stakeholders: Your business has a lot of stakeholders beyond investors and your own staff and management. A good business can help build credibility with key suppliers, and help communicate your objectives when your buying in expert / professional services. To achieve the best results, you should regularly monitor your performance against your business plan. There are many reasons why your actual performance can start to diverge - there may be unanticipated market changes (new competitors, new regulations) or key assumptions may turn out differently than estimated. By identifying differences early you have opportunity to re-plan. A high quality set of management accounts, that you review regularly, is key. Businesses evolve and so should your plans. Taking time to review your plans periodically means you can more accurately forecast the future, stay ahead of the competition and realise your full potential. Well developed business plans help you grow your profits and achieve your goals. A well prepared plan can involve detailed forecasts. We have unparalleled expertise in financial modelling - why not contact us to find out how we can help?